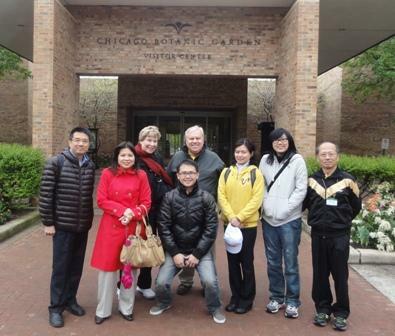 A Rotary International Group Study Exchange team from Taiwan visited the Lake Forest and Lake Bluff Rotary Club last week as part of the organization's vocational, cultural and ambassadorial effort. Five hundred similar teams from the U.S. are also visiting different countries around the world as part of this international exchange. Each team was comprised of a Rotarian leader and four young non-Rotarian professionals who met with local counterpart citizens that had similar skills. 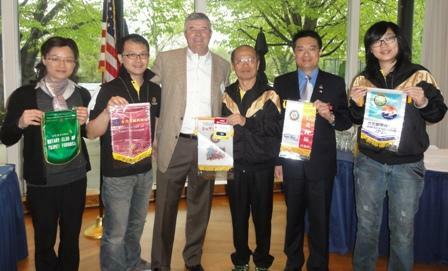 In turn, the area Rotary district sent a team to Taipei, Taiwan last month for a similar experience. 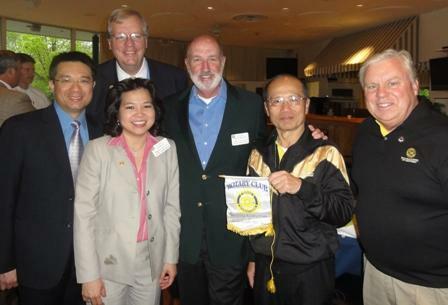 Rotary member Terry Desmond was able to lead a similar team to South Africa for five weeks in the fall of 2010. "A life experience," he related.